Adding to our 100+ medals, awarded over the past few years, we received more great results in the recent the 2019 Royal Queensland Food & Wine Show. We picked up another 14 medals, including Trophy and Gold for Lovedale Lager winning ‘Champion Lager’ and a long awaited Gold for Surry Hills Pils! Well we had a such great event last night and in what could be unprecented for cocktail comps, we had a dead heat for first place! Congratulations to joint winners above Jonothan Carr from Kittyhawk with his ‘Royal Summer’ and Kurtis Bosley from Public House management Group with his ‘Isaac’s Reasoning’. Congrats also to runners up above Jordan Grocock and Dula Lorenzo, their cocktails and recipes also to be added soon, along with the other finalists and entries; a big thanks to all of you! Finally for now, thanks to The Cidery Bar & Kitchen management and staff for looking after us so well and to our Judges Ben Davidson, Igor Pachi and Chris ‘lion’ Wheeler for giving up their time and helping to make our inaugural Sydney Cider Cocktail Comp Final so successful! Sydney Brewery was awarded 10 medals for all 10 beers entered at the CBIA Awards 2016. A BIG thank you to our Head Brewer, Michael Capaldo, for yet another successful awards night for Sydney Brewery! 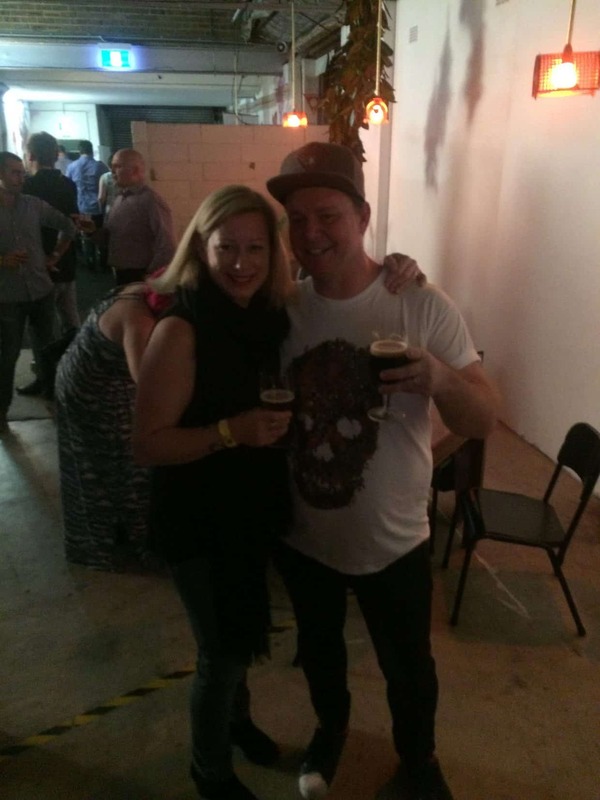 The Craft Beer Industry Association Awards 2015 proved to be an epic night. With an abundance of bearded strapping young chaps, flowing IPA’s and crafty Watermelon Sour lager.. we sure felt like Cinderella at the Grand Ball. It was magical feeling to not only have a smorgasbord of Australia’s best craft beer in one room, but to be surrounded by the Brewers and brewery teams that created them. Sydney Brewery took home a Silver Medal for Glamarama Summer Ale. Between receiving this award and our partnership with Sculpture by the Sea at this beers beautiful homeland, Tamarama, it has been a very GLAMARAMA-OUS past month! We also took home Bronze Medals for our Darlo Dark, Potts Point Porter and our Lovedale Lager, recently awarded Champion Draught Beer at the Sydney Royal Beer & Cider Show. Congratulations to each and every Australian craft brewery who entered and attended, now for next year… let’s keep producing these tasty little RIPA’s!! Sydney Brewery cleaned up at the Sydney Royal Beer & Cider Show 2015 on Friday 18th September!! We won 3 out of 15 Gold Medals awarded for Lovedale Lager, Pyrmont Rye IPA and Sydney Cider. What’s more we won CHAMPION BEER for our Lovedale Lager and CHAMPION CIDER for Sydney Cider (the only cider also to be entered in the competition). Potts Point Porter, Darlo Dark and Surry Hills Pils werre not to miss out either, taking Bronze Medals to add to our impressive haul! We are so grateful for the kind words spread by the media and our wonderful supporters at on-premise venues and bottle-shops.